George Edward Trood | Launceston Then! George was born in 1877 to Thomas and Jane Trood at Launceston. His father was a corn and seed merchant running his own business at town mills with their own railway sidings at Troods sidings just off the main North Cornwall line. On leaving school, George joined his fathers business working his way up from a office clerk. He served as a Lance-Corporal with the Labour corps (Regimental No. 287448) during the first world war. He never married. He took over his fathers business running it until he sold the business to Thomas Fulford, but still remaining as a director of the newly formed company of Fulford, Trump and Co. He set up home at ‘Prospect House’ in Western road. He followed his fathers footsteps in being first elected in 1928 to the Launceston Town council. He was returned un-opposed in 1931. 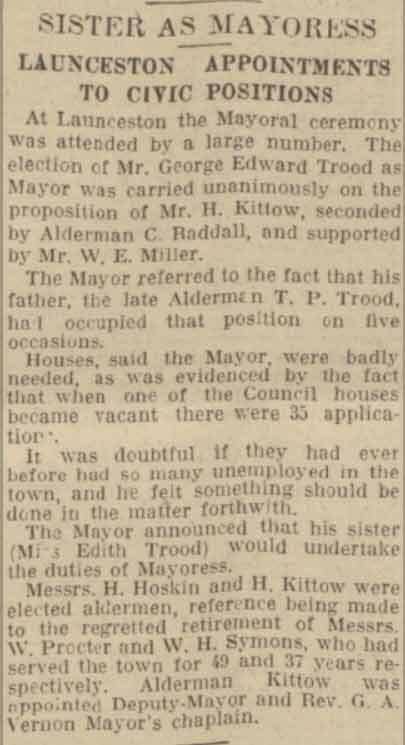 He served as Mayor in 1932/33 (at that time becoming the youngest ever Mayor) and again, when an Alderman, for two year in succession in 1942/43 and 1943/44. He was mayor of Launceston on five occasions in total. 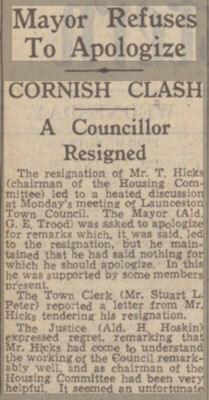 In may of 1938 he was made a JP for Cornwall. 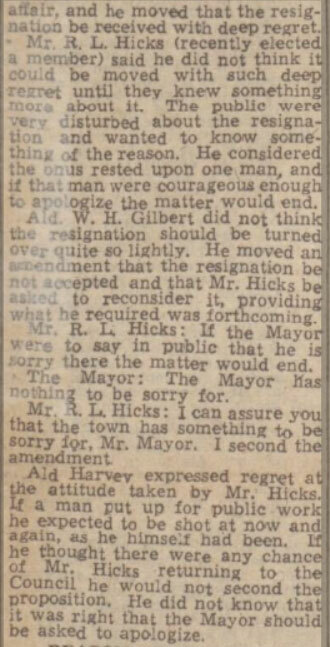 He eventually stepped from his civic duties when he resigned in 1949. George was a keen Liberal serving as Hon. Secretary of the Launceston Liberal association. George was also a prominent member of the Methodist council in the town being a member for 70 years and a trustee for 50 of those years. He was the leader of the bible class and held most offices open to a layman,including Circuit steward. He had also been the Sunday school Superintendent. Another of George’s passions was the Launceston Municipal Band and for many years he was its secretary, in this capacity, he played a prominent part in helping to keep the Band intact during periods when disbandment seemed likely. On retiring from that position he was made a life member in recognition of his services. 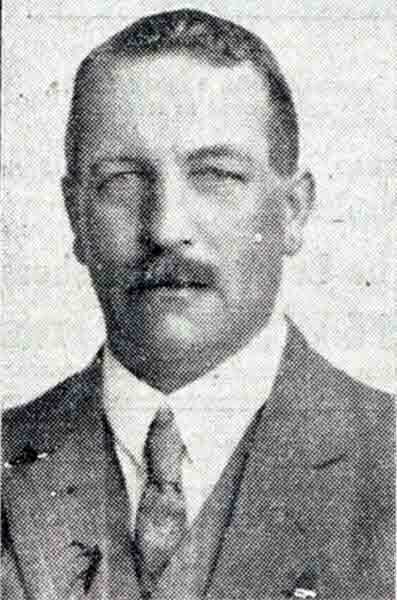 He had also been a president of the Launceston branch of the British Legion and was actively associated with the Launceston Agricultural Society, being its president in 1933. That same year, 1933, he took part in Launceston’s beating of the bounds along side the town clerk, Stuart Peter (below left). Stuart Peter and George Trood take a break during the 1933 beating of the bounds. George Trood seen in the front before setting off on the1933 beating of the bounds. George died in September 1962 at Greenbank Hospital, Plymouth at the age of 85. The funeral service was held at the Wesleyan Chapel.